The Scottish Labour Party leader has become embroiled in fresh scandal in the run-up to the general election, after being caught deliberately potholing on the A9 between Blair Atholl and Pitlochry. 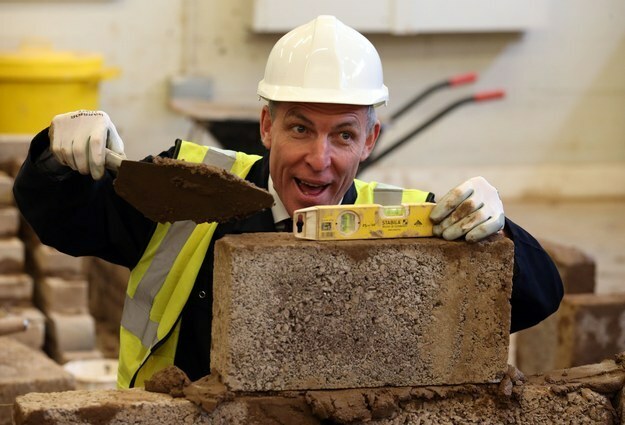 Mr Murphy was discovered sledgehammer in hand at a local service station, screaming about the end of the working class in Scotland. Although alone at the time of incident, Mr Murphy was accompanied by a life-sized hand-drawn cardboard cutout of former SNP transport minister Keith Brown, with which he was engaged in heated argument. Mr. Miliband was asked for comment but is believed to be busy giving zero fucks about Murphy and practising his thousand-yard stare.